Expertise: Ms. Lovato has 13 years experience. She oversees government security regulations, compliance and enforcement at airports. She also serves as a Photographic Artist and is exhibited as a Contemporary Native American Photographer in the U.S., Europe, and Japanese galleries and museums. Ms. Lovato is a founding Student Director of "Visions," fine art exhibit. Work History: Previously, Ms. Lovato served with the DHS with numerous airports. Among them, she served with the TSA, Los Angeles International Airport; Transportation Security Inspector – Aviation; DHS - TSA Des Moines International Airport, Iowa; Supervisory Transportation Security Inspector; DHS - TSA Los Angeles Federal Air Marshal LA Field Office, VIPR Team; DHS - TSA Salt Lake City International Airport, Utah; Transportation Security Inspector – Aviation, DHS - TSA Long Beach Airport, California, Transportation Security Inspector – Aviation. Career Accomplishments: Ms. Lovato provides leadership and regulatory oversight, inspections, compliance, enforcement, investigations, risk based security, and HQ pilot programs. She has been a Supervisor Transportation Security Inspector providing regulatory oversight for the State of Iowa, and a Transportation Security Inspector at Los Angeles International Airport, Salt Lake City International Airport, and Long Beach Airport. Ms. Lovato has contributed to administration of VIPR Team Deployment Operation Plans AMTRAK, California, Mass Transit, METRO Link, Southern California Airports, Maritime Ports of Los Angeles, Long Beach, and San Diego. 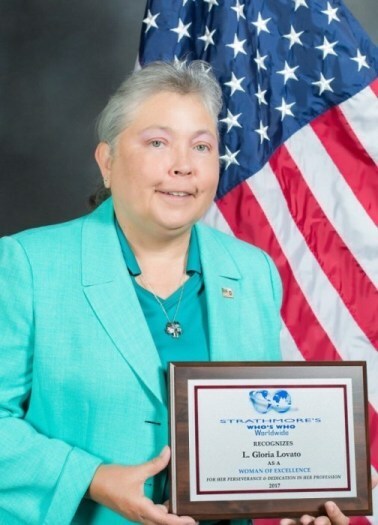 She provides Joint Vulnerability Assessments, implementation of HQ Pilot security programs, Ms. Lovato participates in the Women in Law Enforcement, DHS Foundations of Leadership, DHS New Mexico Tech Incident Response to Terrorist Bombings, Criminal Interview and Interrogation Techniques, Terrorism Liaison Officer and Joint Regional Intelligence Center.